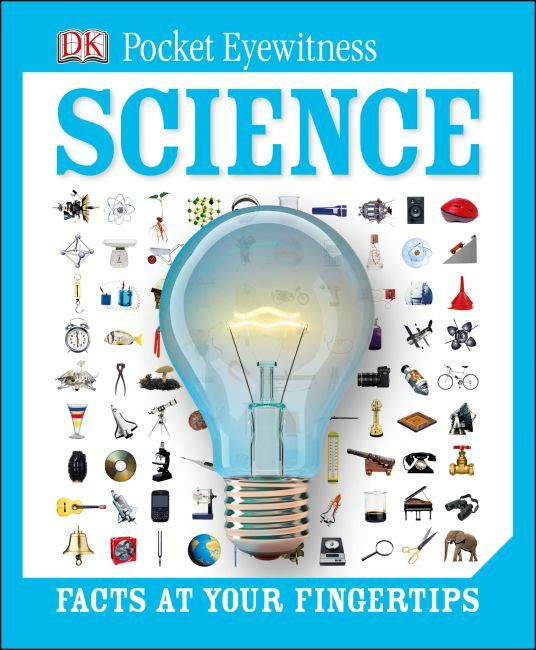 Get fast facts at your fingertips with DK Pocket Eyewitness Science, packed with bite-sized chunks of information that make learning about science even more exciting. What is science? Find out! Read about scientific advances, science in everyday life and how it works in the natural world. Packed with amazing encyclopedic stats and genius gem facts to provide extra wow, DK Pocket Eyewitness Science shows you how science affects everything we do. Discover what matter is, learn about the water cycle and radioactivity. Ask, what is energy? Then learn about the different types, from electricity to electromagnetism and even light itself. Ideal for homework assignments and school projects, DK Pocket Eyewitness Science is the perfect companion for any young scientist.